We’re not sure why HTC can’t seem to produce multimedia docks in a timely fashion, but it sure seems to happen every time they release a meaningful phone. The DROID Incredible still doesn’t have the official dock that we were promised, and we’re just now getting this one for the Thunderbolt, only it’s not through a carrier or official store. 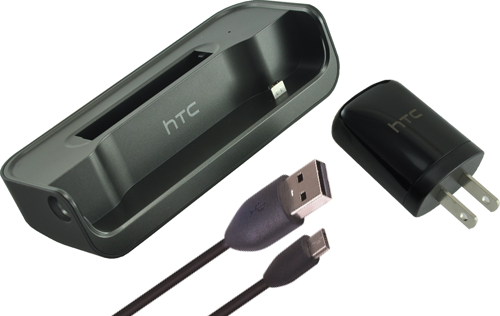 Nope, you’ll have to buy it through the folks at HTCPedia who happen to have 800+ in stock at this time for $59.99. If that seems steep, it’s because this is the OEM dock that can fit the Tbolt with an extended battery attached. It can also charge a spare extended or standard battery in the back side to give you enough juice to last a week or two. If you want something cheaper though, you may want to check out the Seidio dock that in the Droid Life store right now for just $27.95.